Immaculate Ballantyne home located in quiet & peaceful community, highly rated schools,convenience to Ballantyne shopping,restaurants, I-485. Original owner home. Freshly painted kitchen & family room,new roof w 30 year architectural shingles,2 new AC units in 2016. Bright open floorplan w 4br, 2.5 bths. Oversized master, 2 walk in closets. 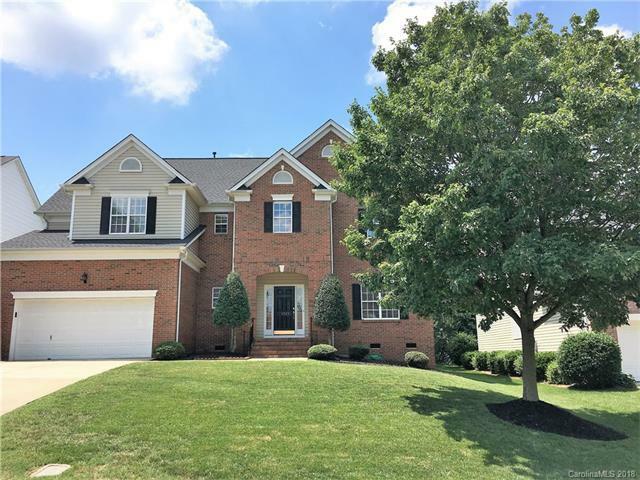 2 story foyer,large family room w gas log fireplace opens to spacious kitchen, 42" cabinets, granite counters, ss appliances. Gleaming hardwoods floors. Nine ft ceilings on both levels. Natural light floods the home from south facing windows & sliding glass door which opens to private deck. Kitchen & brkfst area flow into family room for easy living. Formal LR & DR separated by decorative columns & feature crown, chair rail moldings. Huge master suite, separate sitting area, Master bath w dual vanities, enlarged glass block shower,Jacuzzi garden tub.Nice private yard & deck for enjoying afternoon sunsets. Seller to provide one year home warranty. Sold by Martingroup Properties Inc. Offered by Lynch Realty. Copyright 2019 Carolina Multiple Listing Services. All rights reserved.